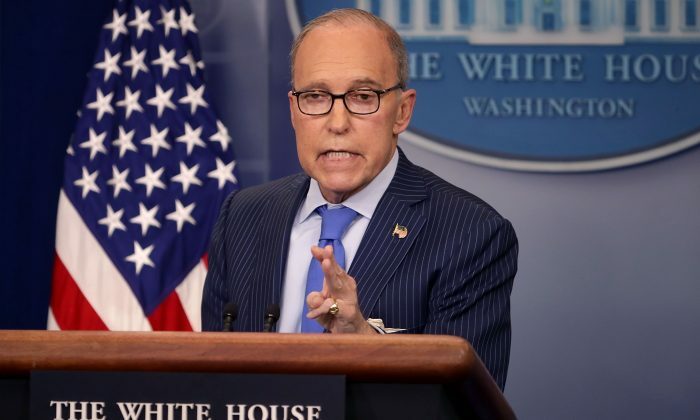 WASHINGTON/SHANGHAI—The Trump administration has invited Chinese officials to restart trade talks, the White House’s top economic adviser said on Sept. 12, as Washington prepares to further escalate the U.S.-China trade war with tariffs on $200 billion worth of Chinese goods. Two people familiar with the effort said Mnuchin’s invitation was sent to his Chinese counterparts, including Vice Premier Liu He, the top economic adviser to Chinese leader Xi Jinping, for talks in the coming weeks. Asian market shares advanced on Sept. 13 on hopes that a deal could be struck in the bitter tariff dispute between the world’s two largest economies. So far, the United States and China have hit $50 billion worth of each other’s goods with tariffs, in a dispute over U.S. demands that China make sweeping economic policy changes, including ending joint venture and technology transfer policies, rolling back industrial subsidy programs and better protecting American intellectual property. Amid the tariff battle, China has threatened retaliation, which could include action against U.S. companies operating there. The Associated Press reported that Beijing has recently delayed license applications from American companies in financial services and other industries. And experts warn that Beijing could go after service industries such as engineering or logistics, in which the United States runs a trade surplus with China. By Steve Holland. Epoch Times staff member Emily O’Neill contributed to this report.